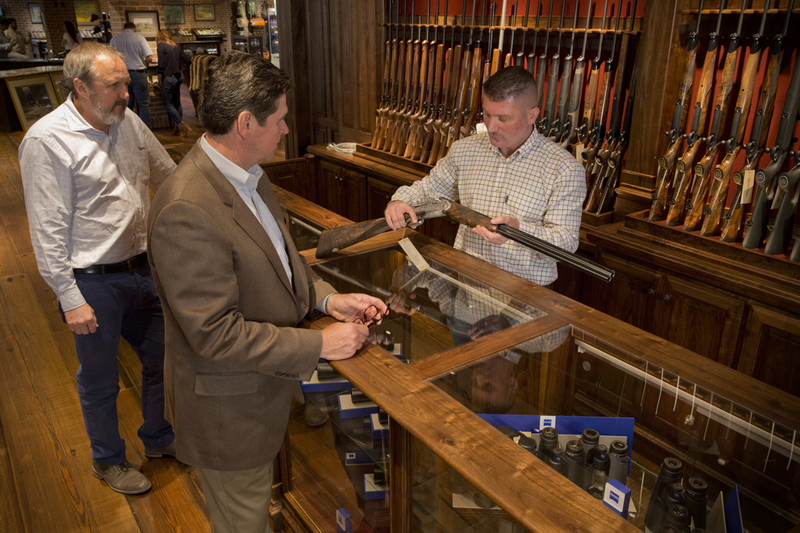 We are in the finest gun room in the world.” That simple, superlative declaration was offered by Marc Newton, the Managing Director of John Rigby & Co., as we stood in the magnificent new walnut-paneled gun vault at the core of the retail space of Gordy & Sons, Outfitters in Houston. 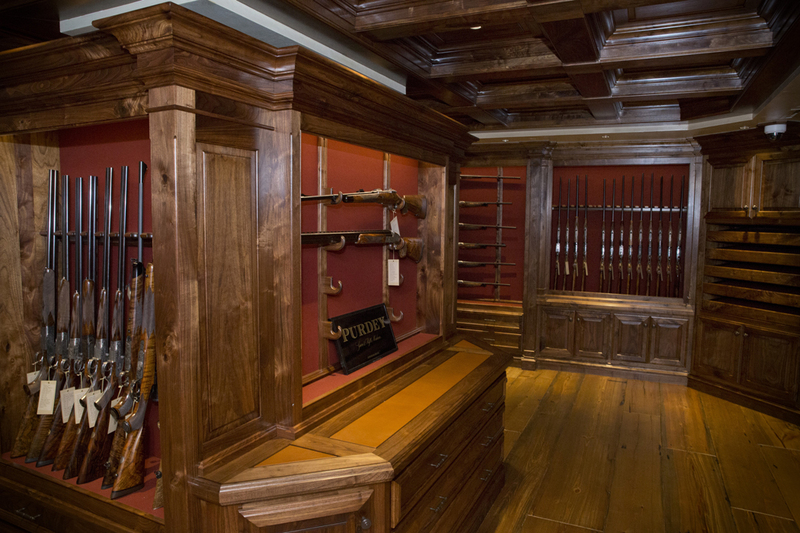 While it is by no means the largest fine-gun room, the visceral impact of dozens of “best” guns racked in the floor-to-ceiling cabinetry certainly leads to superlatives and awe. 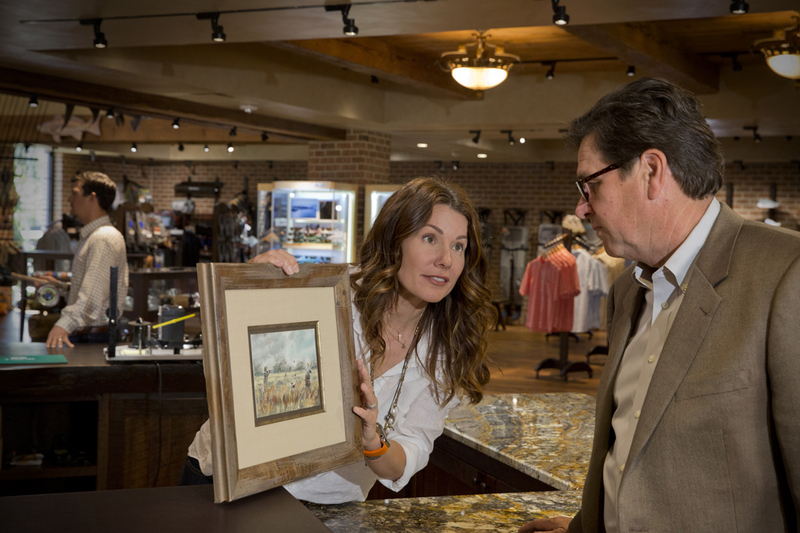 The company’s own tagline takes in a broader scope of purpose: “The finest shop for hunting and fly fishing to be found.” It is the vision of Russell Gordy, a Houston native who started in the oil and gas business on the ground floor—on drilling rigs, earning money for school. His success in the energy field has been substantial; now his ranch- and land-holdings from Texas to Montana have put him high on the list of largest landowners in the country. His sons Shaun and Garrett are partners in this new enterprise, and in addition to the showpiece of the new retail destination for high-end sportsmen, the company plans to offer hosted small-group hunting and fishing trips and customized travel planning and booking. Also in the works is a gun range, small clays course and quail plantation on 8,000 acres 90 miles north of the new store. The private opening of Gordy & Sons took place on a Thursday evening in early May. It was a no-expense-spared soiree, reflecting the Gordys’ ambitions to cater to the tastes of the most discerning sporting men and women. A public opening was held the following Saturday. The total transformation of 22 Waugh Drive—a late 1950s stucco-and-brick building on about an acre of ground in a rising, mixed-use neighborhood—has been dramatic. From the private parking and foyer, the elevator brings visitors to an 11,000-square-foot marvel of open retail design. Wide longleaf pine floors, exposed brick and wooden beams, stamped copper-panel ceilings, a lounge area of heavy leather furniture and oriental carpets and walls filled with sporting art set the tone. The fly-fishing area has lofty ceilings, natural light and racks of rods ranging from the latest in saltwater high-performance to supple six-foot retro glass rods for small trout waters. Outside, within a walled garden, a casting pool offers anglers the opportunity to try rods, reels and lines before they buy. 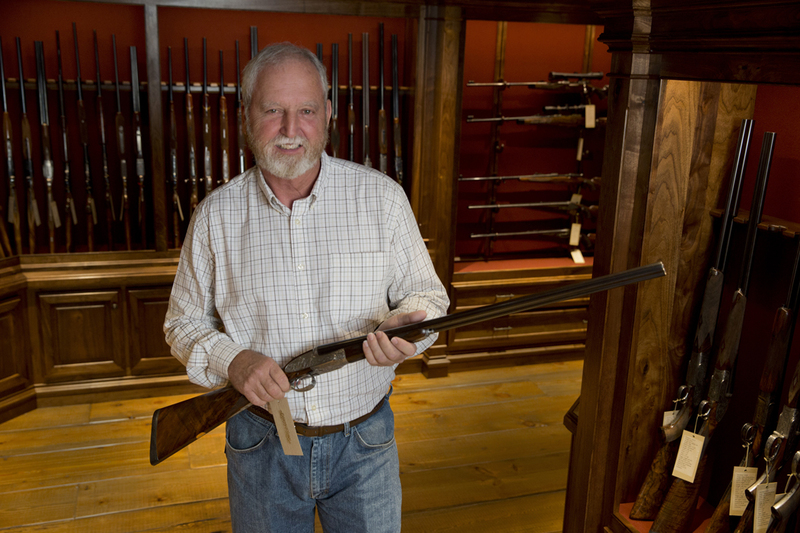 It is Russell Gordy’s passion for fine guns, though, that takes center stage. The entrance to the gun vault is guarded by a massive restored bank-vault door. The interior is fine woodwork in black walnut by Julian & Sons and includes paneling, display cases, racks and the coffered ceiling. The collection within is worthy of the display. 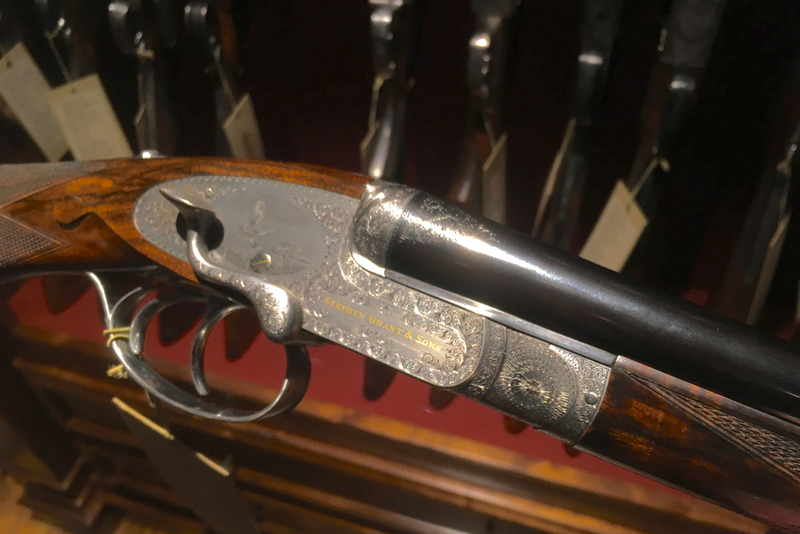 There is a special focus on guns from James Purdey & Sons—the company has ordered 34 new Purdeys, with 16 to be delivered finished and the remainder in varying stages to be finished to order. 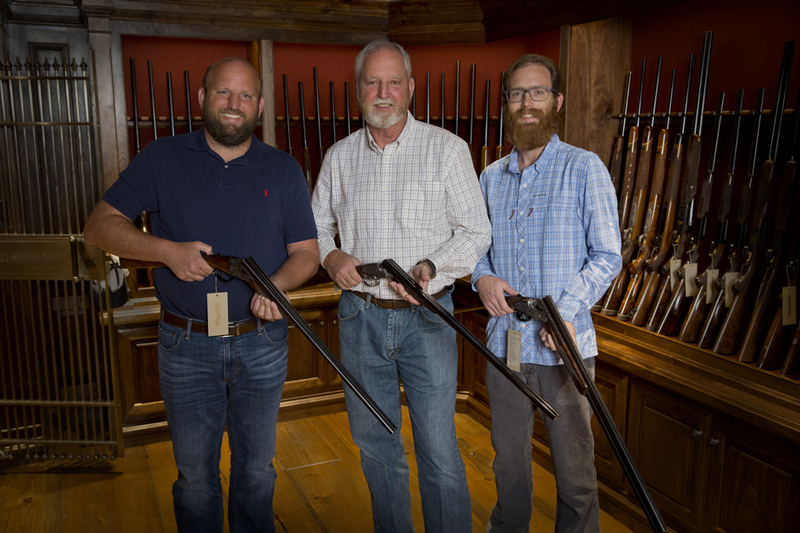 Gordy & Sons Managing Director Dustin Mount trained with Purdey’s and will fold his gunsmithing, repair and restoration business into Gordy & Sons, warranting the designation as the only Purdey-authorized shop in the U.S.
Mount will lead a team of five gunsmiths in a spacious, well-appointed new workshop on the third floor. 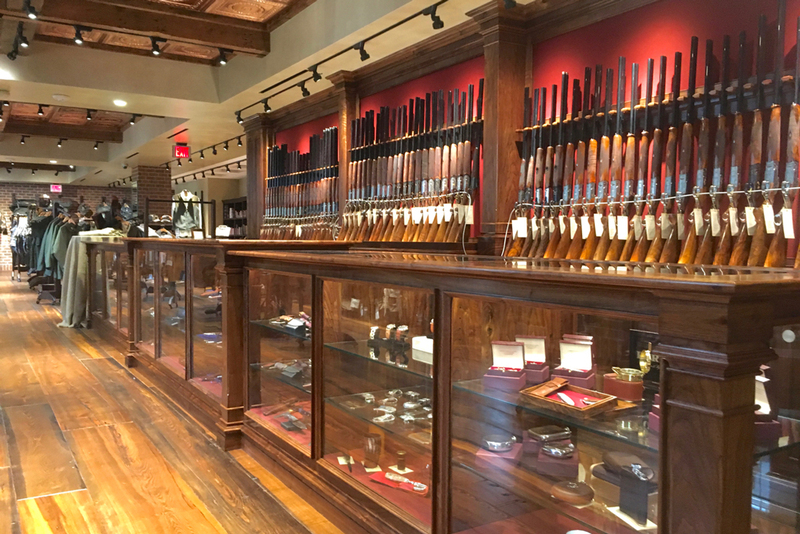 That space includes a large, utilitarian gun vault for storage of customers’ guns, repair and restoration projects, and other inventory. There is also a special relationship with Rigby’s, and in May there were about 15 of the maker’s guns in the vault, including rising-bite double rifles and the firm’s legendary bolt-actions. A selection of J.P. Sauer & Sohn rifles included several of the German maker’s highest grades. 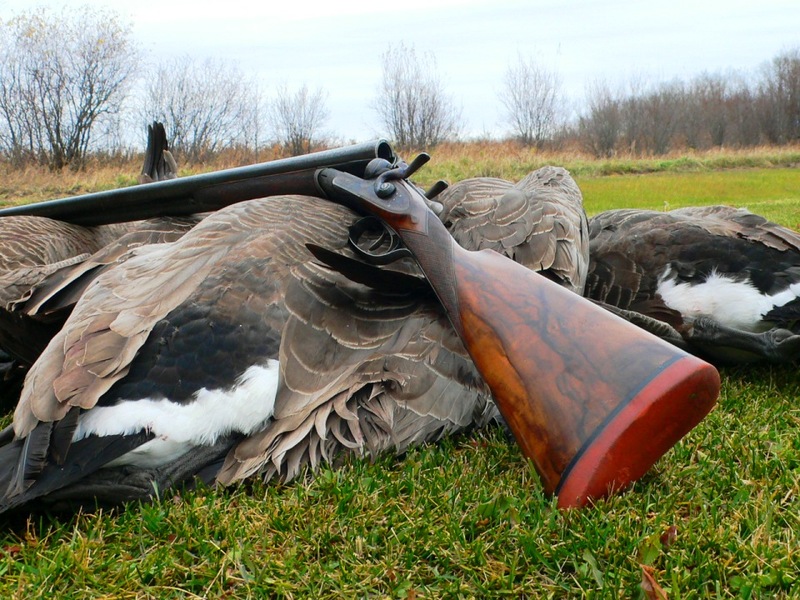 Beretta Premium guns on offer included a gull-wing Sparviere, an SO-10 and a Marc Newsom-designed 486 Parallelo. And there was a rack of high-grade Perazzis, a pair of Fabbris and a stunning new pair of Stephen Grant sidelever 28-bores. The vault is ringed on the outside by walls of gun-display racks and walnut-and-glass cases containing everything from handmade hunting knives by Purdey and Rigby, to belt buckles and silverwork by Clint Orms, to a range of top-end optics from the best makers. 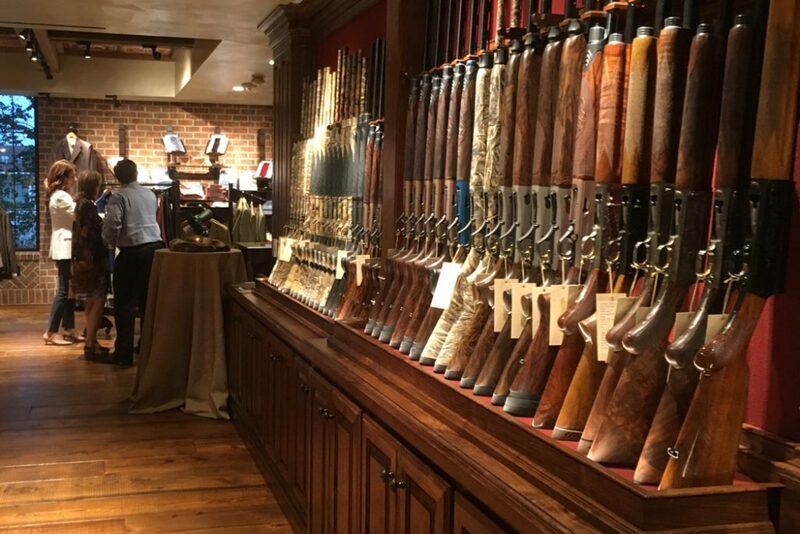 The “regular” gun inventory includes guns from Beretta, Browning, Caesar Guerini, Zoli and Krieghoff as well as rifles by Sauer, Anschutz, Sako and Dakota. The range of clothing, accessories and luxury goods is similarly broad, with offerings from Purdey, Russell Moccasin and a private-label collection for Gordy & Sons by Leonard Logsdail. 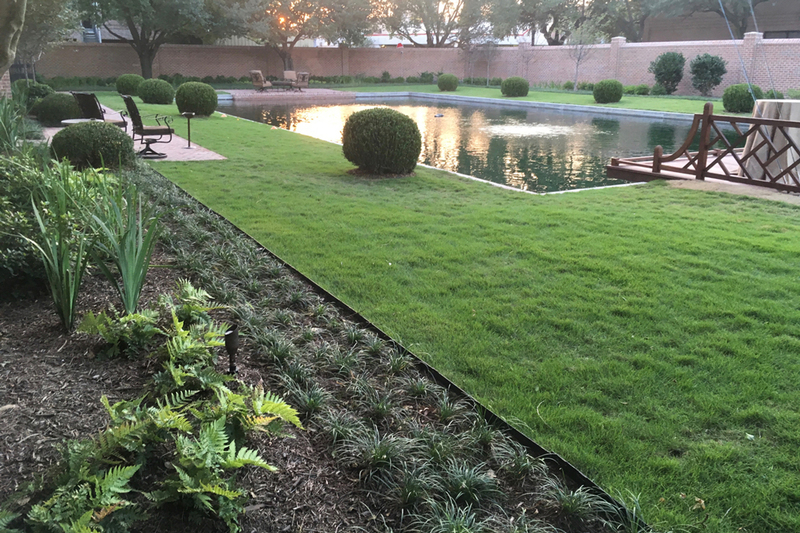 For more information, contact Gordy & Sons, Outfitters, (713) 333-3474.